Thank goodness the weekend has finally arrived. This sure has been one crazy week. With data coming due, report cards looming over us, and parent conferences right around the corner our week has been chocked full of staff meetings, grade level development, data analysis, paperwork and more paperwork. To top it all off, our district was sicken with a bug. A virtual bug. A bug so horrible it left us without internet and computers for a complete week. We are still in the process of cleaning our network and can not print. 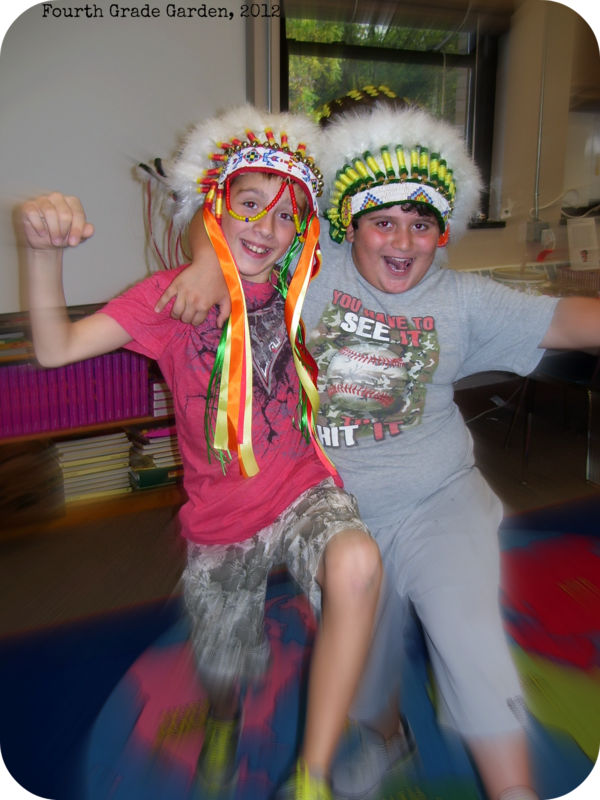 Despite all the "behind the scenes" craziness I was able to squeeze in a little fun with my kiddos this week. 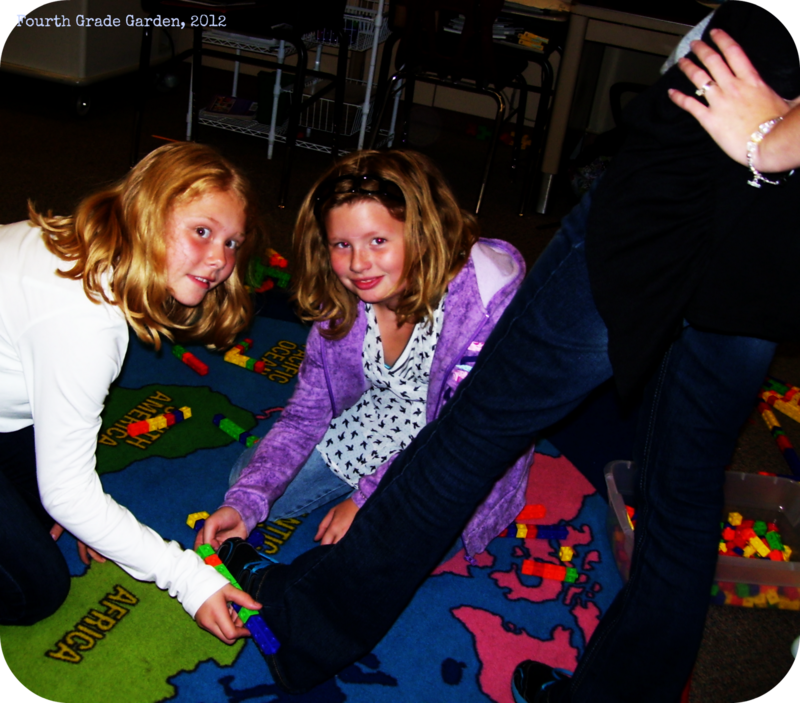 We started out with a nature hike around our school. 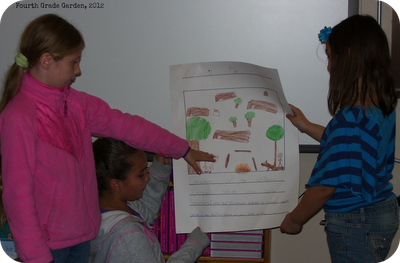 We observed and recorded the different signs that fall has come. 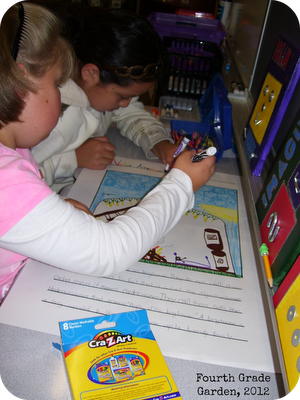 We used our five senses and practiced writing juicy details. After our nice walk we ended up in the pavilion at the park to write our descriptive writing master pieces, share, and then....play on the playground! Oh what fun! Around mid week we were forced inside due to some inclement weather....rain! My students absolutely love indoor recess this year. One group of lovely ladies decided to create a life size robot replica of .... can you guess who...... me! Here is my head and my glasses. They measured my arms and legs to make sure that all the specs for the robot were as accurate as possible. 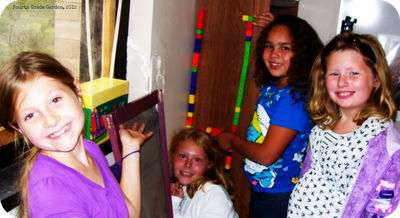 The measured my height so they would know just how tall to make the robot. What am I looking forward to for next week? Using the laptops and classroom computers. Oh how deprived we've been this past week. It's amazing how much our lives revolve around technology. Dee, be on the look out ... I will be emailing you with your 3 monster PDFs and to get your mailing address so I can ship you the book. Didn't win but still want some monster fun for your classroom? I will be holding a 20% off sale on all my monster materials for 2 days starting NOW! Snag them while they are discounted. Now.....for some more Halloween fun! Holly from the Fourth Grade Flipper has BOO'ed me! If you haven't seen her blog you should definitely check it out! Choose a fellow blogger that has more followers, another that has about the same number of followers, and someone that has less followers. 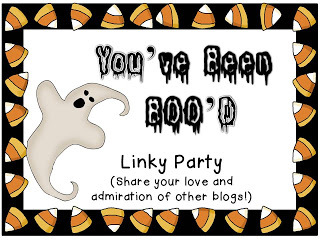 Blog about each of them and include this cute linky party icon in your blog. So....now it's time for me to pass on the BOO! 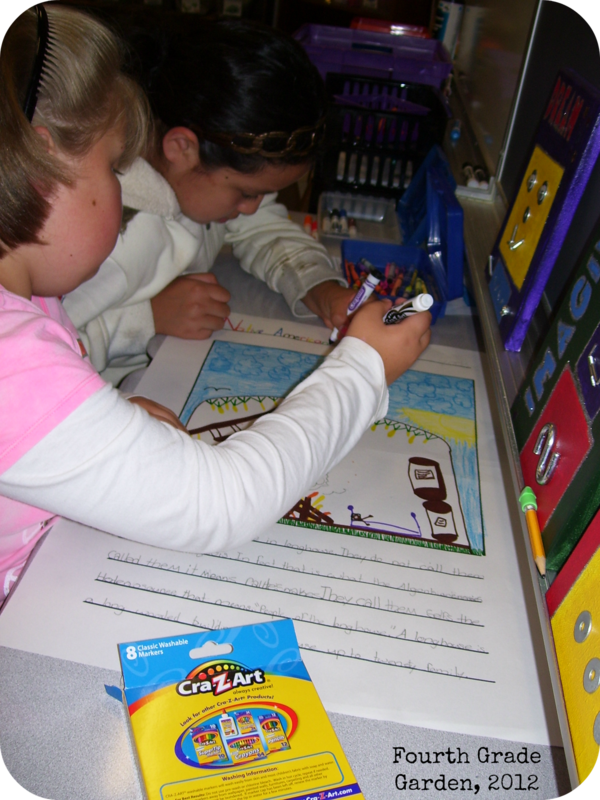 The next blog I selected is I Want to Be Super Teacher. 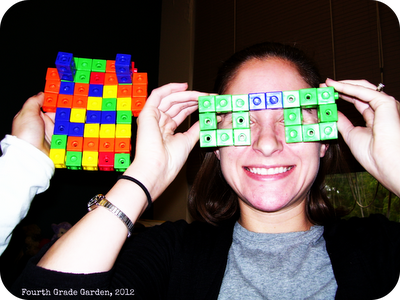 The lovely Katie has taught 3rd and 5th grade and has loads of super cute ideas to share. 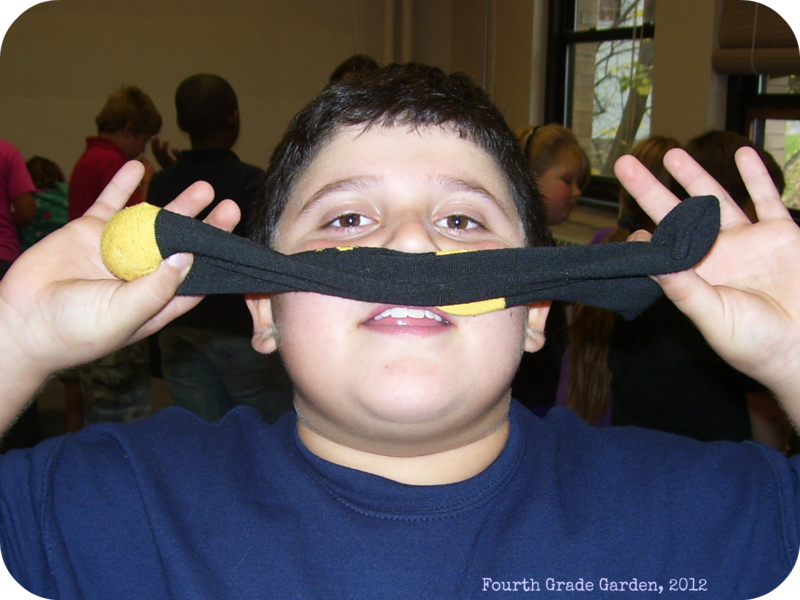 And, last but not least, I've selected Fourth Grade Lemonade. Caitlyn is in her second year of teaching and is busy planning her wedding. 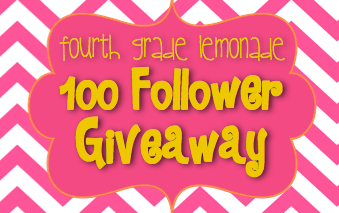 Make sure you check out her beautiful blog and enter her amazing 100 follower giveaway! I hope some of these are new blogs for you to check out! They are definitely some of my favorites! Have a Terrific Tuesday! 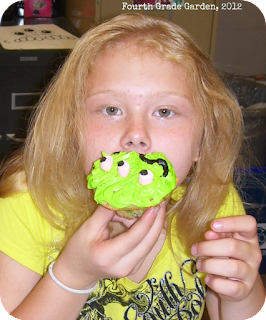 Today my students earned a Monster Mash Party! 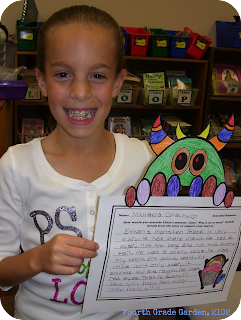 We started our Monster Mash today by reading the book, I Need My Monster by Amanda Noll. I absolutely love the illustrations in this book. 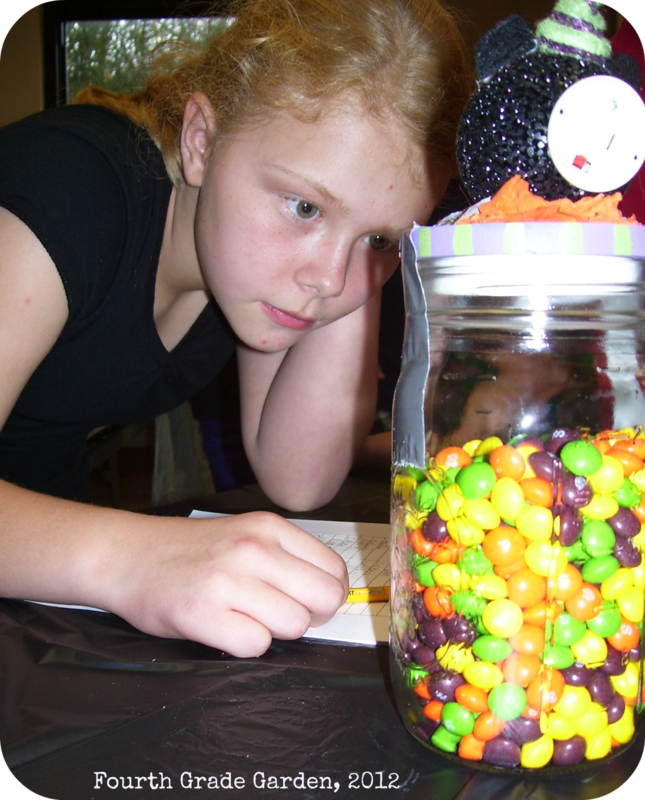 It is filled with loads of descriptive words and is great for Halloween. After our read aloud, students responded to some multiple choice, short response, and extended response questions. You can find my literature pack on this book here. Then students wrote letters to the monster under the bed persuading him to come back along with other fun monster related writing prompts. 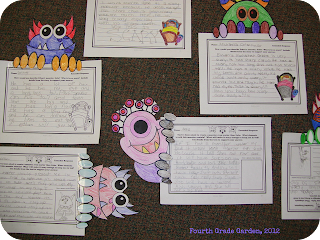 They topped their papers with cute monsters and we used these to decorate our hallway. You can find my monster theme writing pack here. For math, students reviewed addition and subtraction problems with a monster match-up activity during centers. We ate a delicious monster cupcakes for snack and drank some juice. 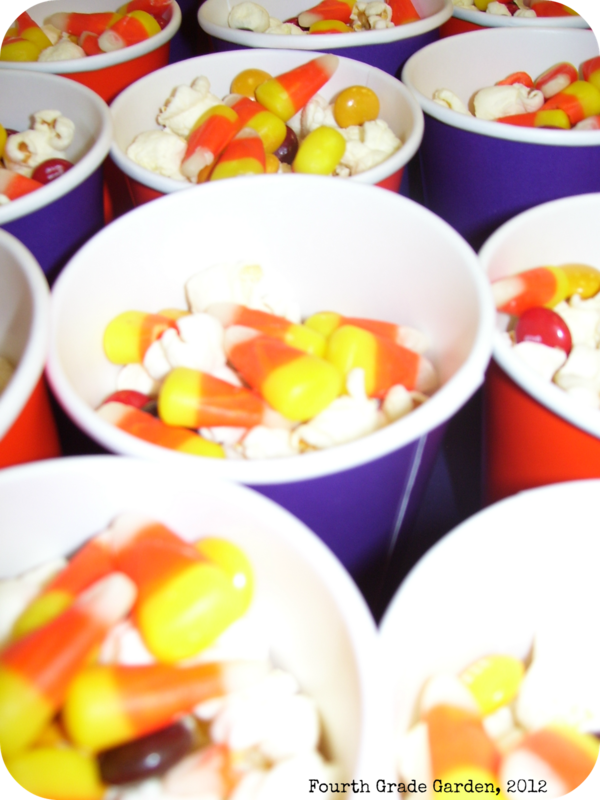 We also ate a monster mash snack containing popcorn, M&Ms and candy corn while we watched a few clips from the movie Monsters, Inc.! I created a little Friday freebie for you. 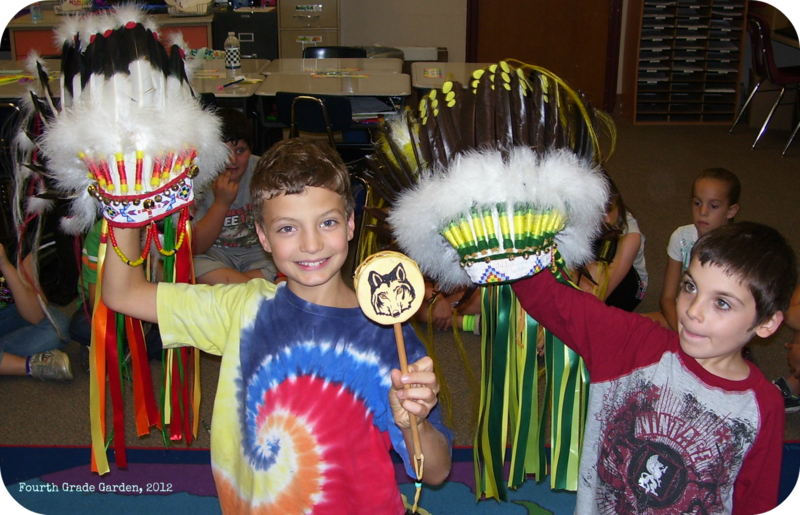 It includes these two worksheets. 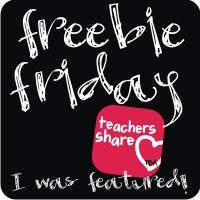 Check out all the other Friday Freebies available by clicking the button below. The adorable monster clipart that appears in all my new monster products was created by Krista Wallden. 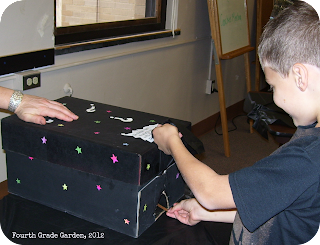 Take a peak at her lovely blog, The Creative Chalkboard. She has loads of freebies, including some monster ones! 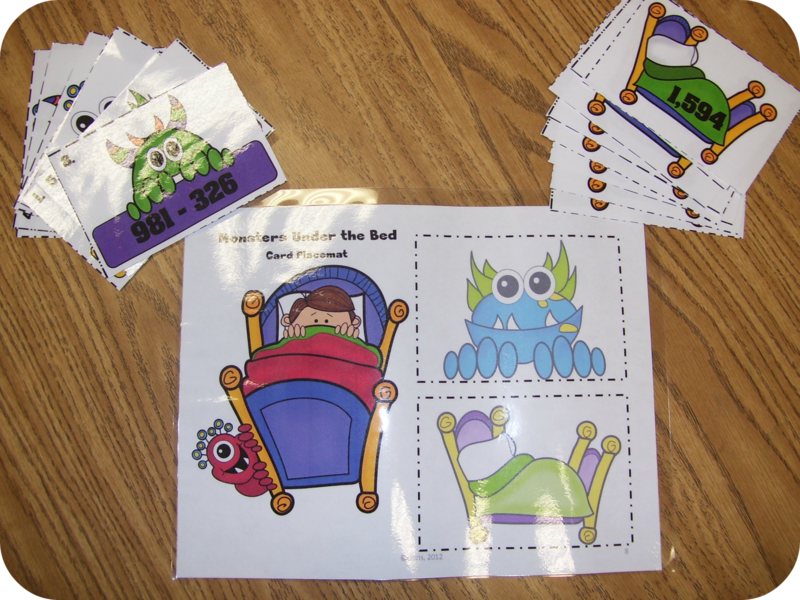 You can purchase her Monsters Under the Bed clipart at her TPT store. But wait, there's more! 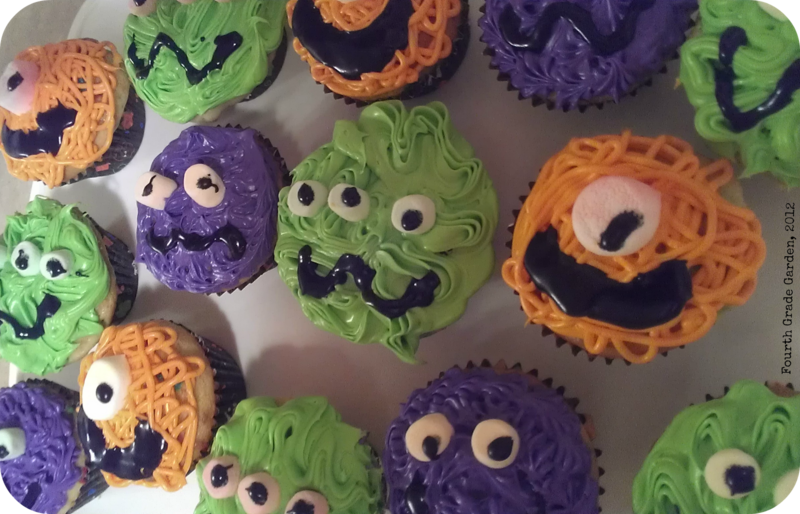 Want to have your own Monster Mash? 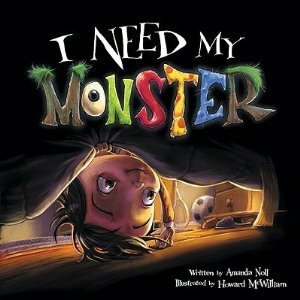 Enter my giveaway to win a copy of Amanda Noll's book, I Need My Monster and all 3 of my activity packs (for reading, writing, and math monster fun). If you win, I'll email you the PDF files for all 3 activity packs and will send the Hardcover book to you in the mail as soon as you give me your mailing address. The monster that appears on my giveaway button is one of the many you can find it Krista Wallden's Monsters Under the Bed pack. Can't wait? Want to have your own monster related day (or week) now? Purchase my monster theme items here. Happy Friday! Unleash your inner monster this weekend! In fourth grade we no longer set aside time in our math pacing guide to focus on telling time. The hope is that students will come to us already able to read the clock. The reality is that this is not always the case. 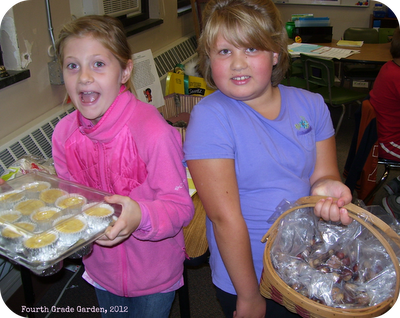 While looking around online I found the coolest telling time activity on Teachers Pay Teachers. 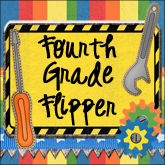 This activity was created by Lacie Brown from Polka Dots & Pencils. You can find her Teacher Pay Teacher store here. 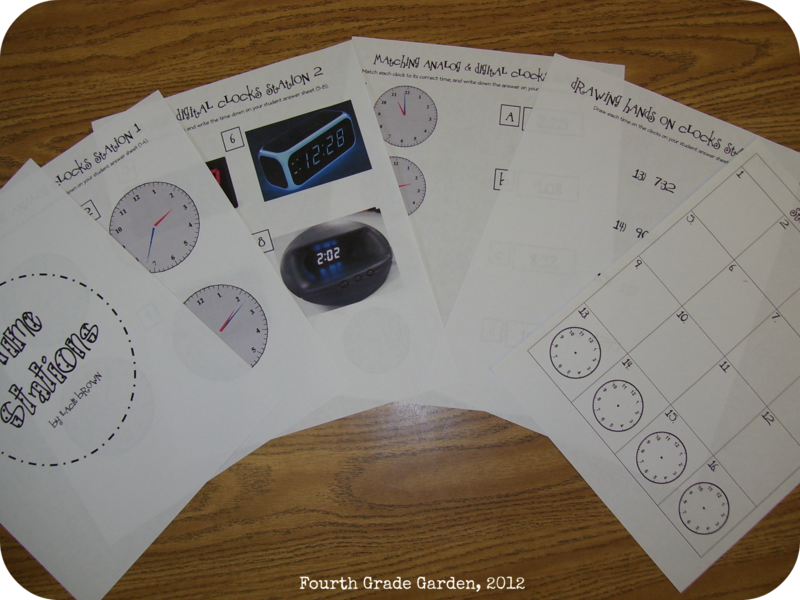 This activity is a rotation game for telling time to the minute using digital and analog clocks. I placed each sheet in a different spot around the room and students rotated through the four stations with their answer sheet, a clipboard and pencil. 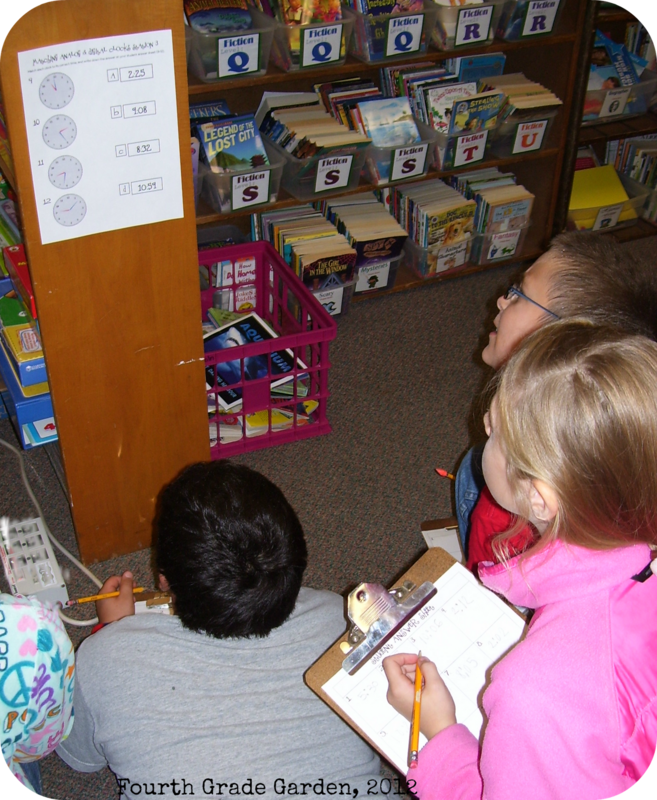 My students had a blast visiting each of 4 different stations: telling time on an analog clock, telling time on a digital clock, matching analog and digital times, and drawing times on an analog clock. 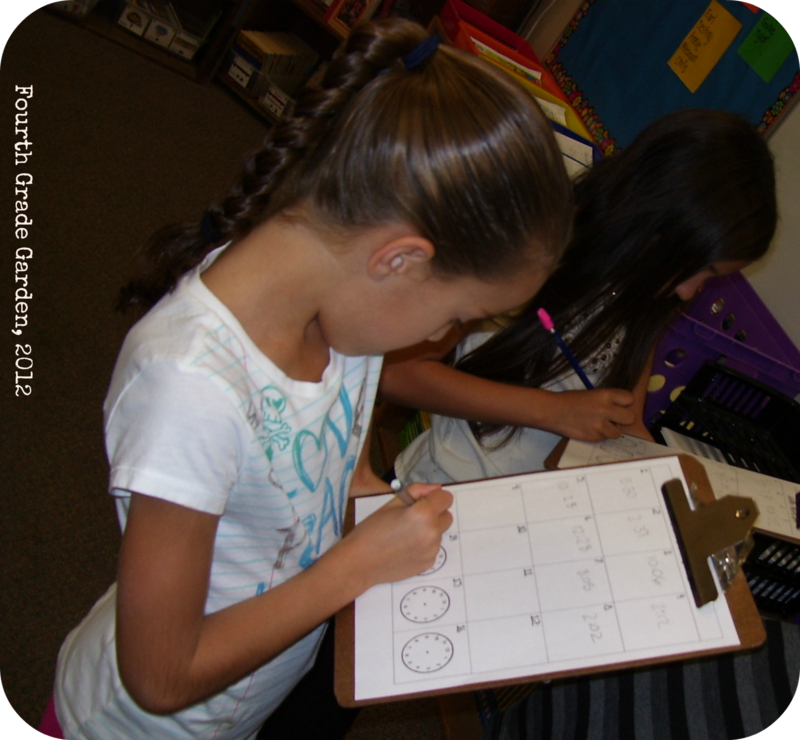 Not only did students have fun, but this activity was a great review of previously taught clock reading skills. I am so glad that I found Lacie's blog and TPT store. 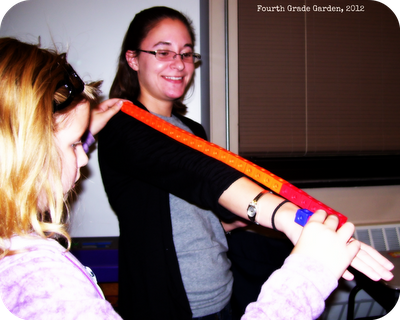 Lacie has taught 3rd, 4th, and 5th grade in South Carolina for the past 4 years. 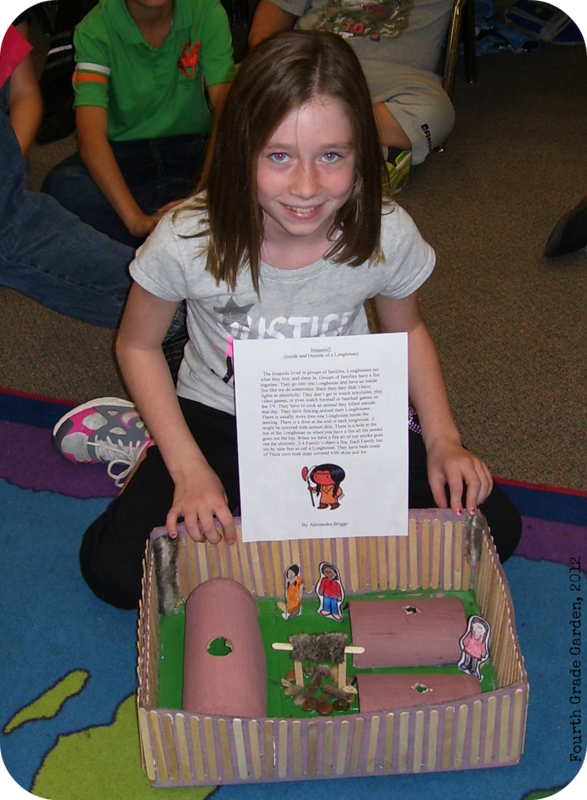 Pop on over to Lacie's blog and check out all her great ideas! Then take a look at some other cool products at Jessica's product swap!